Microsoft Office is designed to make your work hassle free in every way possible. You can make your work look snappier with just a few clicks , you can make countless spelling errors and Office will correct them for you without making a fuss (See that 8th grade English teacher? Oh I still hate you). Hell, Microsoft even included a bunch of shortcut keys to make our jobs easier than they already are. 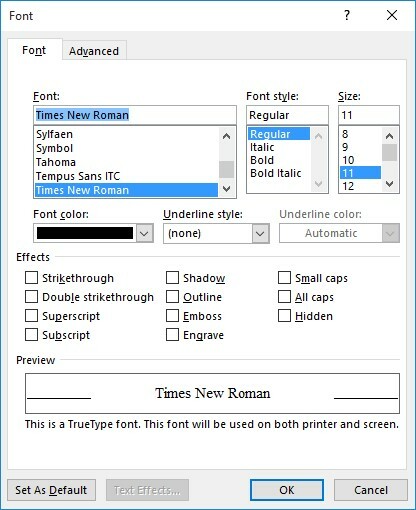 You can press Ctrl+I to type in Italics. Ctrl+B will let you type in bold. Want to underline something? Ctrl+U to the rescue! But in making all these shortcuts the good folks over at Microsoft apparently forgot to make a shortcut key to use the Strikethrough style. What’s the Strikethrough style, you ask? Well haven’t you seen this? No? Where have been all this while? I should stop typing like this though. Seriously. Stop it. Well not to worry! We’re here to provide you with a solution. Just follow the following steps and you’ll be golden. Press Ctrl+D to bring up the Font dialog box, it should look something like this. Now press Ctrl+Alt and the “+” key on your num pad. This will prompt Windows to change your normal cursor to a clove shaped one. Now click on the words “Strikethrough”. This will open a Customize Keyboard dialog box.That’s what it looks like. Now you want to click on the “Press new shortcut key” and set a new shortcut for the Strikethrough style. Go on, be creative. 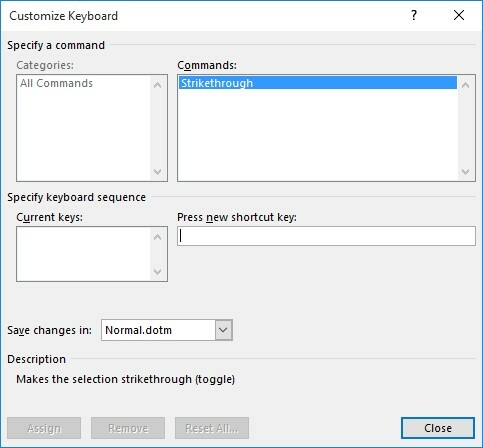 You can use any combination of Shift,Ctrl, Alt and/or any other key. Next click Assign and voilà! Now you can press the strikethrough shortcut keys you assigned to start typing like this. If you want to, of course. There’s no valid reason to type like that really. But you’ve gotta admit, it does look pretty cool.